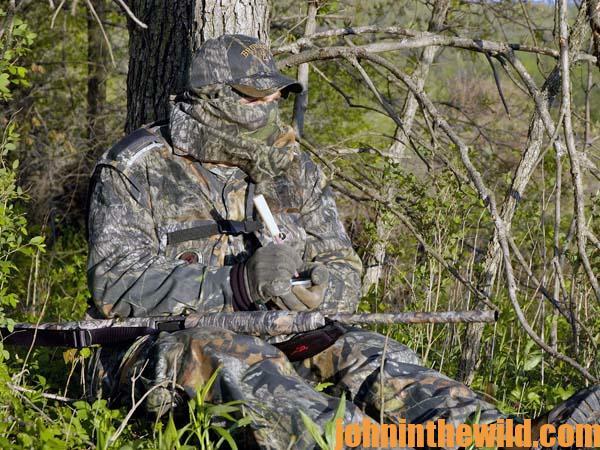 John’s Note: Good positioning is a key factor for a successful turkey hunt, yet many hunters make five-common mistakes when setting up. Here’s how to avoid those errors. The difference between killing a turkey and not killing a turkey is usually how, when and where you set the stage for action. 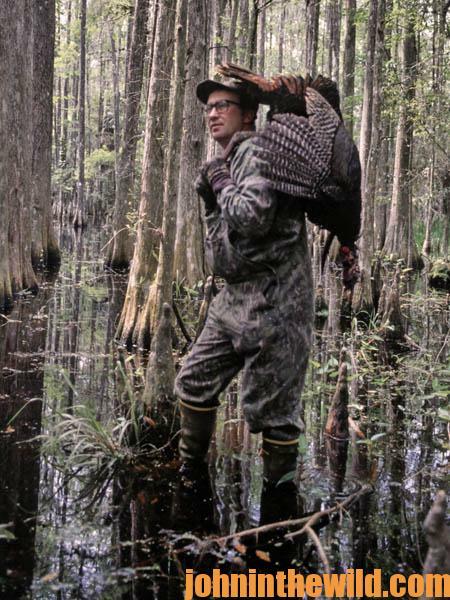 To be in the right place at the right time, you first must find a turkey to hunt. There are places a turkey enjoys walking, including clean woods with little underbrush and fields where he can see for great distances. He’ll also walk on flat ground whenever possible. 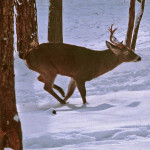 Too, a turkey follows a regular routine. He’s like an old man who goes by the barber shop at 8:15 am, stops at one of his regular stores to find-out if anyone’s sick, dead or just married, swings by the coffee shop to pick-up a newspaper and a sweet roll and then moves on to meet his friends for a game of dominoes. You can set your watch by that old man. Well, you also can set your watch by an ole gobbler in the spring. That bird has a set routine as predictable as the man down the street. Figure out that pattern, and you’ll probably bag the bird. He’ll roost in the same tree, fly-down in the same direction, try to mate in his strutting zones and feed in the same fields. Once you know the routine, then you need to plan the set up. 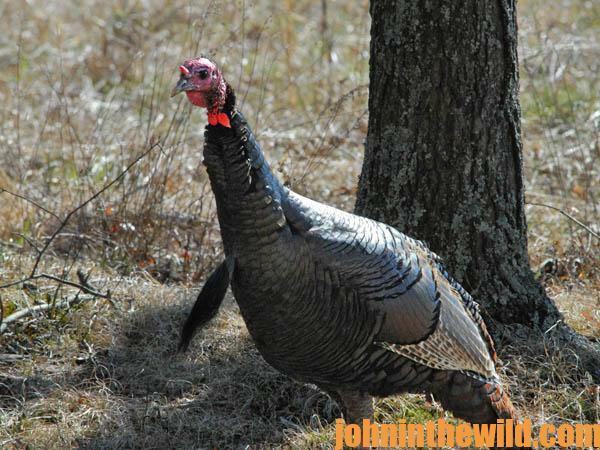 Years ago I asked Burns to name the five mistakes most hunters made when setting-up on turkeys, and he gave information that still applies to turkey hunters today. 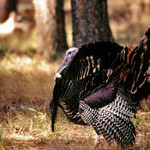 “People often try calling a turkey to a place he just won’t go. 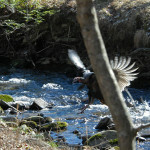 For example, turkeys generally won’t cross water. So, avoid having water between you and the turkey. If you have to wade brooks, swim creeks or walk 2-miles out of the way to get around the water between you and the gobbler, do it! Your time will be better spent than trying to call the bird across the water. He just doesn’t want to get wet. A turkey doesn’t like to walk down hills either – yet some hunters will set-up to call a turkey down a hill and into a bottom. These hunters will fare better by moving up the ridge and onto the same plane with the bird. 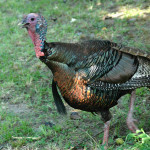 Turkeys are open-country critters. They sense danger in thick cover. But often new hunters will try calling a gobbler into or through a thicket where he naturally doesn’t want to go, so the hunter never sees a bird. 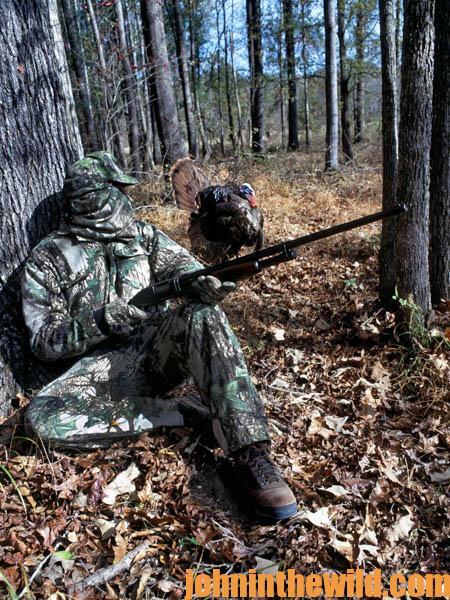 Stay in open woods with your back up against a big tree, and try to be in front of the turkey as he goes about his business. 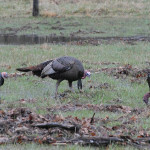 The gobbler’s looking for a convenient hen – not one that will take him out of his way or into danger.